Are Monica’s services covered by insurance? What does the subconscious mind do with hypnotic suggestions? Should I be concerned about mind control? What exactly is energy work? Check with your carrier to see if your insurance covers hypnotherapy or other alternative modalities. Monica Vance Professional Hypnosis does not process insurance claims, but you can do so yourself if your policy allows it. Most issues can be resolved in 3 sessions (about 90 minutes each). Most clients feel better after the first session. The other sessions reinforce the initial effect and include an education component, learning to live with and support positive changes. If additional issues arise, you can arrange more sessions. Hypnosis is relaxed neutral state. The conscious mind steps aside, bringing the subconscious mind to the fore, where it is receptive to suggestion. Hypnosis is an education-communication process that allows the conscious and subconscious minds to process the same message. Hypnotic suggestions bypass the conscious intellect and zero in on subconscious emotions. When given suggestion that are consistent with your belief system and moral orientation, the subconscious accepts them literally as a new reality. The ability to reprogram emotional attitudes and reactions resides within everyone. Hypnosis is a functional way to retrain lifelong attitudes; most of which are the result of mis-education (mis-assumptions adopted in childhood that no longer serve us as adults). There is no reason to suffer a lifetime of emotional accidents when the mind has the ability to change and adopt preferred behaviors and habits of mind. Anyone of average intelligence can be hypnotized. Some people are easier than others to hypnotize, and the actual state varies; but a skilled hypnotist adapts to the client, applying a variety of strategies. Receptivity to hypnosis improves with practice. Any form of organic brain damage makes hypnosis harder to achieve. And anyone under the influence of alcohol and certain drugs can find it hard to concentrate enough to achieve a hypnotic state. There is no evidence that hypnosis alone has ever caused harm. On the other hand, some people experience personal disappointment due to unrealistic expectations or preconceived misinformation. As in any field, one should be alert for unscrupulous practitioners. Hypnosis is a collaboration requiring skill on the part of the hypnotist and commitment on the part of the client. Even then, hypnosis remains poorly understood, so no one can guarantee a particular outcome. Suggestions stay with some clients indefinitely, others need reinforcement. 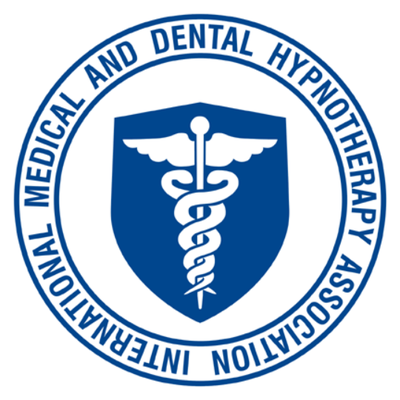 The effects of hypnosis are cumulative: The more techniques are practiced and post-hypnotic suggestions are brought into play, the more permanent the results become. That is why many hypnotherapists provide self-hypnosis training and provide reinforcement recordings for home use. Another phenomenon common to hypnotherapy is that clients often feel so much better after a few initial sessions that they choose not to return. This can backfire, as in reversion to prior behaviors due to lack of sufficient practice and reinforcement of new behaviors. All hypnosis is self-hypnosis. You allow yourself to be hypnotized, so, at any time during a hypnosis session you can choose to return to full consciousness. No suggestion received in the hypnotic state can compel you to do something that violates your deep moral or ethical compass. A hypnotist cannot even impose a behavior you have stated you want. If you are trying to accommodate someone else’s needs (spouse, children, doctor, etc. ), but have no real deep commitment to the change yourself, the change will not ‘take’. Energy medicine is a tradition practiced mostly in the far east. It is based on the notion of Qi (chee), or Life Force. Qi goes by a variety of names and energy work includes many different approaches. The unifying factor is that client and therapist collaborate closely to enhance positive Qi and expel negative Qi. Though not religious, it is ‘spiritual’. This is in direct opposition to the western allopathic model in which patients cede control of healing to physicians, who apply a ‘mechanical’ approach to illness via medicines and drugs.